Good Lord, it’s finally here!! After years and years of rumors that George Lucas was creating a sequel trilogy after the prequels (and Lucas denying them)… here we are, just over 10 years since the last theatrically released live action film in this saga, and we finally have our seventh film! – albeit one without Lucas at the helm. After Disney purchased Lucasfilm Ltd. and all of its properties from George Lucas back in 2012, they didn’t waste any time in getting all the pieces in place for cashing in on their $4 billion purchase by announcing a whole new set of Star Wars films, the first of which would be the long anticipated Episode VII. It wasn’t long after this when they also announced what many believed to be the perfect man to take the helm of the franchise: J.J. Abrams, who was just coming off of his second Star Wars-influenced Star Trek reboot film, Into Darkness. Disney then announced Episode VII would set out on its own course, jettisoning most of the established Expanded Universe from decades past to allow it the new story proper breathing room. All of this became a point of contention for many. If they hadn’t already taken issue with Disney now calling the shots, then many took issue with the hiring of lens flare enthusiast J.J. Abrams, largely thanks to the reputation he has with some Star Trek fans for having purportedly ruined their franchise, particularly after that whole Wrath of Khan rip-off controversy. Of course, the biggest question for a lot of people was whether or not we actually needed more Star Wars films to expand upon the original trilogy in the first place, particularly considering the fiasco that was the prequel trilogy, but also because Return of the Jedi seemed to suggest that the story was over, the Empire had fallen, and Anakin Skywalker had been redeemed. What more could be said? Regardless, Disney wasn’t going to just let their expensive new franchise just lie there and languish. Episode VII was coming, regardless of any trepidation fans might’ve had, and it was going to make Disney a boatload of money, regardless of its quality. The question on everyone’s mind, though, was whether or not Disney was going to still care about the opinions of fans and the quality of the actual films, regardless of their knowing this. Lucky us, it seems as though even the evil empire can make good on a promise to do good instead. The Force Awakens is in a lot of ways pretty much exactly what you might expect from a modern day soft-reboot of a major film franchise. A lot of the same story beats are borrowed from the original trilogy, mostly from A New Hope with a hint of The Empire Strikes Back, for flavor, but these beats are repurposed for new characters, who are themselves familiar archetypes with traits borrowed from original trilogy characters, as well. Without getting too much into the story details, one of the biggest points of contention for many will likely be just how much of this film feels familiar to them if they had seen the original trilogy – or really anything from Star Wars. Some have even compared it unfavorably to the prequels, citing those films’ willingness to at least go to new environments and introduce new character types. I totally understand those complaints, too, and I’m not even going to necessarily say that those people are altogether wrong, either, as I also kinda frowned at the recycling of one particular element: the ultimate weapon thing. However, apart from this, The Force Awakens still feels like its own thing, as almost nothing borrowed is presented exactly as it was before – not even the ultimate weapon, which is similar in concept but is used much more like a backdrop to the story and character developments than a mere thing to be destroyed. It’s as if Disney has commissioned the ultimate Greatest Hits Remix album, only in film form, with all the parts being present but rearranged in new and satisfying ways. Most importantly, none of the new characters feels like they’re an exact copy of any preexisting characters, either. They borrow certain character traits, filling somewhat familiar roles, and have similar story arcs, sure, but which traits belong to which character and how that impacts the story is a real pleasure to watch, particularly because of the fantastic actors. From the very start, it’s immediately apparent that Abrams is going a completely different route from the prequels – there’s a far more sparing and appropriate use of CGI, for example, with real (or at least real-looking) environments and a generous use of practical makeup and puppetry when possible. It’s also most apparent in that he’s allowing the actors to, you know, act. The actors are allowed to create characters with distinctive and appealing personalities that audiences will undoubtedly connect with in the same way that they did with Luke Skywalker, Han Solo, and Princess Leia. Here we get hotshot Resistance pilot Poe Dameron, Stormtrooper defector Finn, and impoverished scavenger Rey. Rey is probably my favorite of the new trio, reminding me a bit of Hayao Miyazaki’s Nausicaä with a bit of the original three heroes thrown in for good measure, and Daisy Ridley is a tremendously likeable actor in the role – tenacious and confident, but also vulnerable and compassionate. 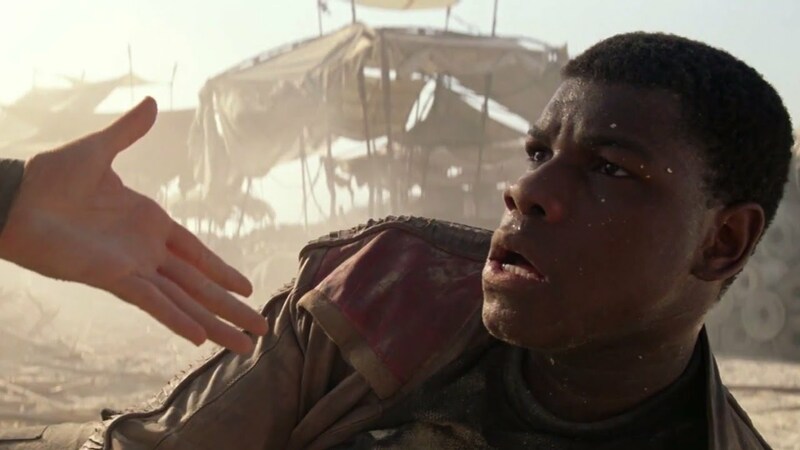 Poe and Finn are also fantastic, however, with John Boyega as Finn in particular showing off his comedic skills without turning the nervous Finn into a clown. There’s an earned heroism that continues to develop within him throughout the course of the movie, with the character being a conscientious objector to indoctrination he was born into under the First Order. Oscar Isaac also stands out as the friendly joker and ace X-Wing pilot Poe Dameron, even though his role is definitely tertiary to the other two. It’s a credit to the script and the new actors that they stand out so much in this new film, considering that they’re also costarring alongside the major players from the original trilogy – all of whom also make strong impressions. 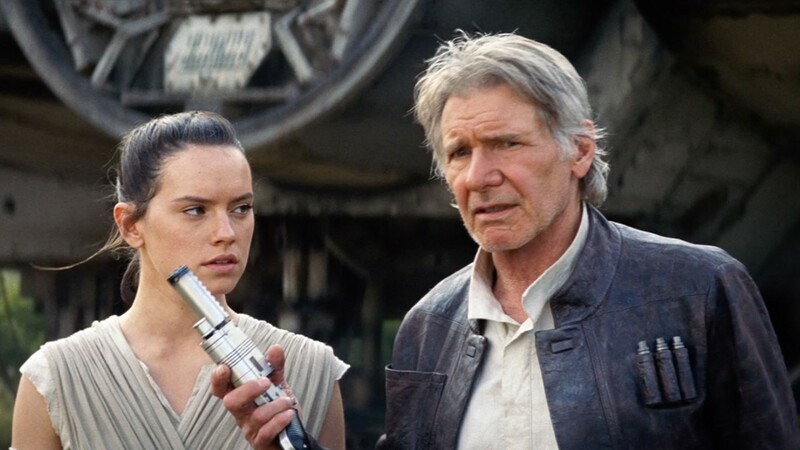 The stories are true: you haven’t seen Harrison Ford this engaged with a character in probably decades. If I had any main points of contention with the film, it’s that the villainous element feels like it could’ve been stronger as a whole. Darth Vader fanatic and undisciplined Dark Side user Kylo Ren is a fascinating character, to be sure, one who also displays previously unseen skill with the Force and who will undoubtedly become an even more fascinating villain throughout Episodes VIII and IX, and Domhnall Gleeson gets to chew scenery in an especially broad but effective Space Nazi speech, but other than that, the villains side in this film doesn’t necessarily stand out as being any more impressive than previous ones save for one of the more horrific actions they take early on. Fans of Captain Phasma merchandise and armor design and those who were anticipating more answers about Supreme Leader Snoke will especially be disappointed. I can deal with the enigma behind Snoke, given that he’s basically the Emperor surrogate, but Phasma does seem like she was built up too much for this film (much like Boba Fett), most likely in the name of selling toys. It’s made a bit more disappointing, too, that the initial First Order plan is essentially the same plan as that of the Empire in A New Hope. 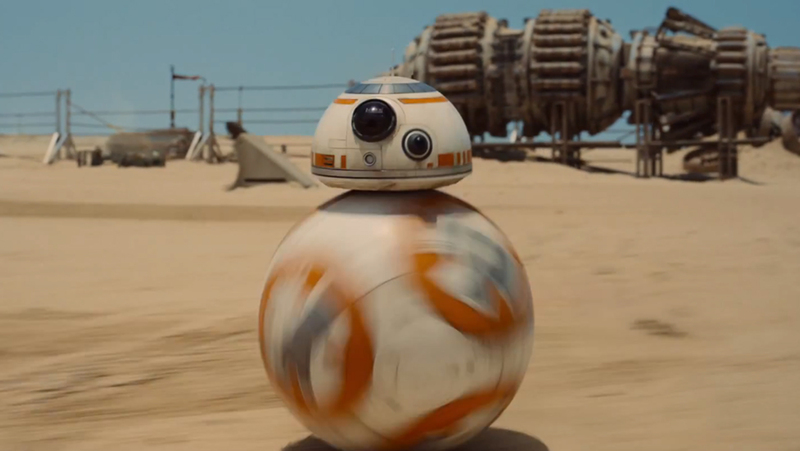 All that being said, The Force Awakens is most definitely the return to form that fans have been craving for decades. 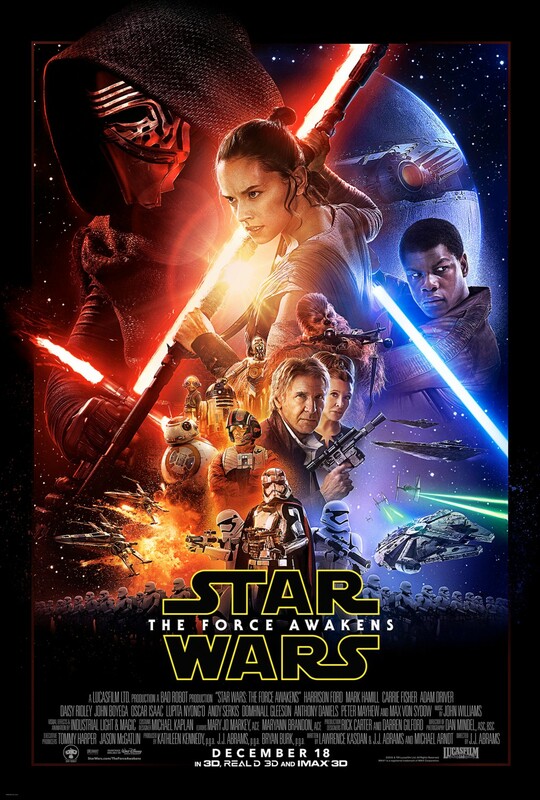 Even with its blatant retreading and remixing of previous elements, it’s probably the best film released in the series since The Empire Strikes Back, besting even Return of the Jedi in its unaltered theatrical form, what with its overly cute Ewoks, clumsy attempts at slapstick humor, and its lazier retreading of the ultimate weapon trope. Here that gimmick feels like much more of an affectionate homage, tweaked in just the right ways that it feels familiar but new, and condensing it all down into a single film that will likely lead to even more exciting developments to come. But even if we do get more remixing in Episode VIII and IX from previous installments, I can’t say that I would be completely disappointed, either, so long as they do it as skillfully as Abrams and his crew have done it here. I’m completely invested in these new characters and also really excited about what’s in store for the returning cast, too. I know it’s probably a cliché to say this, but I can’t help it: The Force is strong with this one. I’ve already seen it twice (IMAX 3D and 2D with Dolby Atmos, the latter being my preference), and I wouldn’t think twice about seeing it a third time soon. I haven’t felt like this in years!